4 Bedroom Semi Detached House For Sale in Dover for Asking Price £250,000. 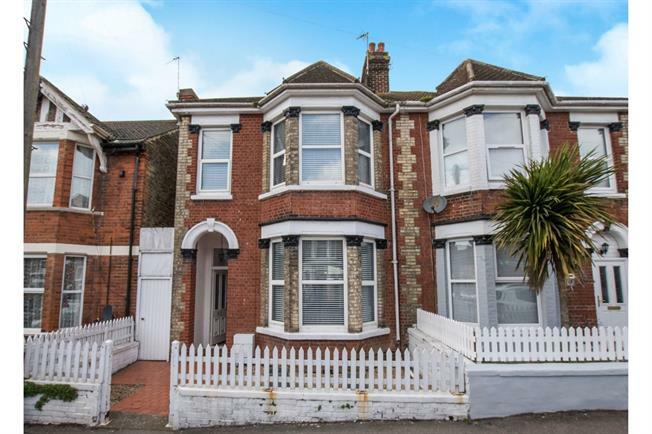 This Semi-Detached Victorian family home is perfectly presented inside and is ready for the new owners to move straight in. The high ceilings and white plastered walls give a real feeling of space and make the home lovely and light. Downstairs there is a spacious bay fronted living room and a dining area with French doors out onto the garden. The modern kitchen has a great range of units and integrated appliances and there is a shower room. Upstairs there are three/four bedrooms, family bathroom and a loft room.